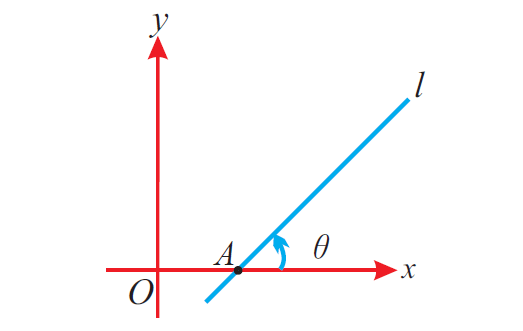 About "Angle of inclination of a line"
Let a straight line l intersect the x - axis at A. 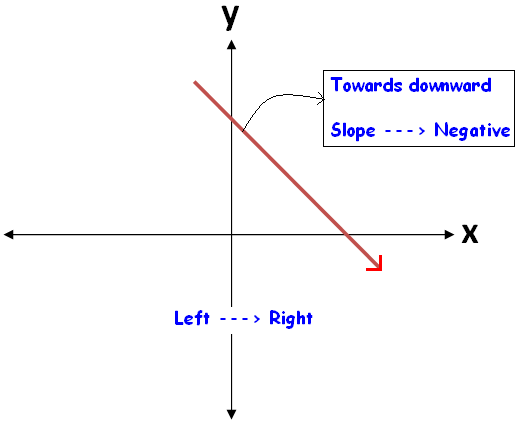 The angle between the positive x - axis and the line l, measured in counter clockwise direction is called the angle of inclination of the straight line l.
In the above figure, If θ is the angle of a straight line l, then we have the following important points. (iii) If a straight line initially lies along the x-axis and starts rotating about a fixed point A on the x-axis in the counter clockwise direction and finally coincides with the x-axis, then the angle of inclination of the straight line in the initial position is 0°and that of the line in the final position is 0°. (iv) Lines which are perpendicular to x-axis are called as vertical lines. (v) Lines which are perpendicular to y-axis are called as horizontal lines. 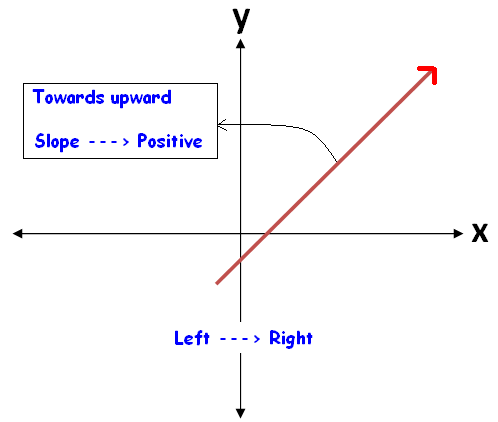 (vi) Other lines which are neither perpendicular to x- axis and nor to y-axis are called as slant lines. The major application of angle of inclination of a straight line is finding slope. If θ is the angle of inclination of a straight line l, then tanθ is called the slope of gradient of the line is denoted by "m". (iii) For slant lines, if θ is acute, then the slope is positive. Whereas if θ is obtuse, then the slope is negative. When we look at a straight line visually, we can come to know the sign of the slope easily. Find the angle of inclination of the straight line whose slope is 1/√3. If the angle of inclination of a straight line is 45°, find its slope. Hence, the slope is 1. If the angle of inclination of a straight line is 30°, find its slope. Hence, the slope is 1/√3. Find the angle of inclination of the straight line whose slope is √3. After having gone through the stuff given above, we hope that the students would have understood "Angle of inclination of a line".